When you need a custom die cut style, our designers plan the most efficient tool layout and manufacturing process, while trusted die supply partners support our fast turnaround requirements. Multiple Bobst and in-line rotary die cutters enable quick set-up, high-speed operation and low maintenance allowing us to meet the challenges of complex orders with highly accurate and precise registration. Our designers and machine operators perform precise quality control checks on all tooling. Special handling is standard to eliminate damage while your parts are in transit. Ample space is allocated for storage and maintenance of your tooling. Retrieval is fast and accurate, enabling you to receive innovative package designs with consistent high quality. We have the versatility to glue 4 corner trays, snap-lock and automatic bottom containers, as well as unique die-cut closure styles. 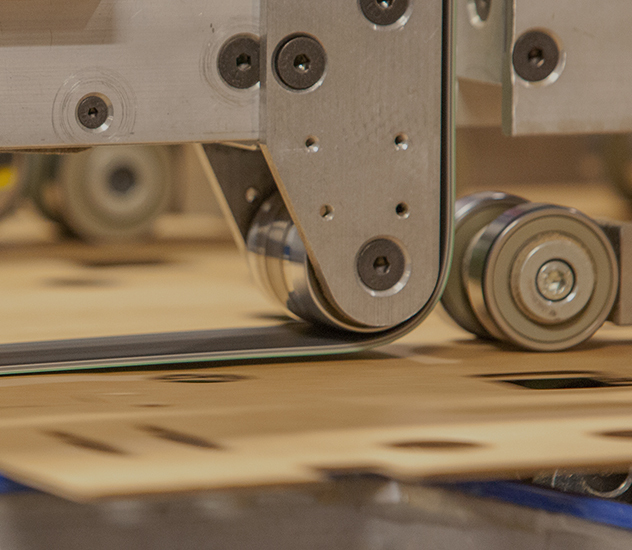 Our state-of-the-art equipment produces packaging to help increase the output of your production line. Advanced capabilities allow us to automate the gluing of boxes with small length, width and/or depth panels. Our quick set-up times ensure timely completion of your products.